It’s officially fall – the best time of the year! Year in and year out, Halloween season brings about some exciting new releases in the genre, and 2016 will be no exception. With films like Clown Town, Rings, and The Laughing Mask all on the way, there will be plenty of scares to be had at the theater. But while the new releases are always fun, the horror genre is incredibly prolific, and that means that every year there are also some more limited releases that tend to fly under the radar…and these can be great to go back and dig up. If that sounds like a nice way to plan a late weekend evening this Halloween season, here are a few slightly more obscure horror flicks you may have missed in the past few years. It’s shocking how small a ripple this release made in the horror genre. Directed and partially written by Christopher Smith (with an original script by Dario Poloni), it was a pretty ambitious spook period piece that brought in less than $500,000 upon release. 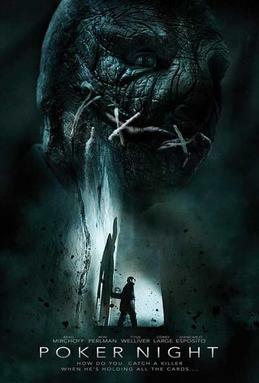 Nevertheless, it was recently included on a list of the best horror films this decade so far, and with good reason. So why does it work? It’s easy to start with the cast. 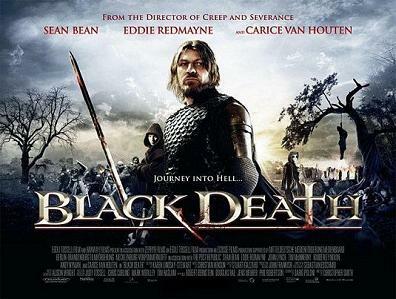 The widely beloved Sean Bean stars as a knight named Ulrich, with Eddie Redmayne and Carice van Houten in supporting roles. The story concerns a creepy, mythical town during the Black Death in medieval Europe. The town is said to be untouched by the plague, largely thanks to the talents of a mysterious necromancer. Ulrich and his company are directed to investigate the manner, ultimately coming into contact with all kinds of deathly horrors. It’s not full horror from start to finish, but some genre fans might appreciate it because it’s not just another teenagers-in-the-woods style horror flick. This late-night fright fest didn’t generate a whole lot of attention when it came out in 2014, but it actually had a pretty inventive premise. The idea was that a new cop in a small Indiana town attended a regular poker night with his new colleagues, hearing many of their stories from their time on the force. 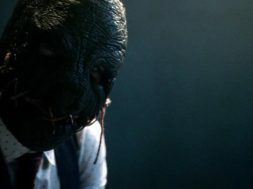 Then when he leaves only to be kidnapped by a vicious criminal, he has to use those stories to try to work out an escape. It’s not a “poker movie” in the strictest sense, but one reason this film works is that the idea of a nighttime poker night between colleagues is almost disconcertingly real. These days, we tend to think of poker as a more automated and efficient activity. People can play privately on their phones, and there’s a whole range of options available online that allow for real-money tournaments and social interaction. Given all of this, there’s something even more distinctly human about an old-fashioned game played at a table among friends, and seeing it puts you in an unexpected comfort zone before all hell breaks loose in Poker Night. This was actually a remake of a 1980 film by William Lustic. Putting aside the original, 2013’s Maniac was a pretty terrifying gore-fest. If you’re particularly interested in plot or intricacy, this probably isn’t the one for you. But if you’re more into slashers than other types of horror, you might want to get your hands on it. 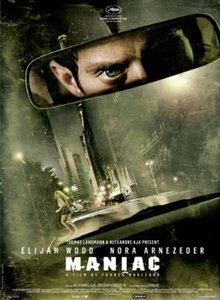 Basically, Elijah Wood (who has gotten into the trenches of the horror landscape with his company SpectreVision) plays a psychotic owner of a mannequin shop. His mannequins are strictly for his pleasure; he goes out stalking and murdering women and uses their scalps to dress them. It’s the kind of entertainment that definitely doesn’t appeal to everybody, but slasher fans should check it out. It does actually do something intriguing from a filmmaking standpoint – some of the kills are experienced through the murderer’s point of view. Yeah, that’s as creepy as it sounds. These three should give you a good start to the Halloween season. What are some of your favorites to watch when the weather turns chilly?